Breakfast cereals are upon common choices to start a new day since they are readily available, time-saving, portable and very tasty. But did you know that most cereals are highly processed and hinder payloads of sugar, especially those designed to attract children? Furthermore, they provide little or no protein, resulting in increasing blood sugar levels if you eat them every day. 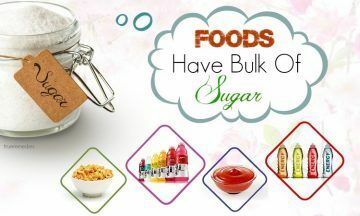 Some contain average 28 grams (7.1 tsp) sugar per cup-serving, take up 23% of sugar in total ingredients while there are only 7 grams of protein per serving. Try selecting these ready-to-eat products with less added flavors and small amount of sugar such as plain corn flakes and Rice Krispies. Better yet, prepare yourself a quick low-carb breakfast rich in protein like omelets, which can also cut down the risk of gaining extra weight.